Find 925 Sterling Silver, Necklace&Choker, Stainless Steel Ring on Industry Directory, Reliable Manufacturer/Supplier/Factory from China. Shower head products by handle, spindle, pressure plate, rubber Ring, plastic ring, screw cap, spring, push button, fixing pin twelve parts assembled, the factory introduced the shower head automatic assembly line, the artificial lines need more than 10 workers assembled, now only need1-2 persons, shower head assembly line bring huge benefit to the factory. 12 parts are assembled automatically,fiber optic sensing,feeding when with material, stopping when no material, the finished product automatic discharge conveying belt. 6) Abnormal automatic alarm shutdown, and display the abnormal information. Dongguan Rener Automation Technology Co., Ltd. is a high-tech enterprise engaged in R & D, industrial non-standard machinery and equipment production, sales and service automation.Our products are widely used in automatic production of standard fasteners, hardware accessories, auto parts, electronic parts, electrical appliances, plastic hardware, locks, medical equipment accessories, cosmetics, sanitary products and other industries. Undertake mobile phone connector, automotive, medical, hardware, wire, all kinds of consumer electronic products, sanitary products and other non-standard automation equipment R & D project development, to undertake a variety of plastic hardware products production line, assembly line, automatic machine manufacturing, design various automation solutions.Effective for the enterprises to solve the problems in high cost, low efficiency and serious quality, recruitment difficulties, labor trouble etc...For all enterprises to save resources, improve efficiency, achieve social harmony and win-win and customer. Our main products: plastic & Hardware assembling machine, sanitary assembly machine, automatic locking screw machine, spring separating feeder machine, we developed a number of sanitary assembly line has been successfully put into production in the Middle East. 2) Provide logistics, customs service and foreign installation ,commissioning and operator training service for the machine. 1. How long will your engineer reach our factory? 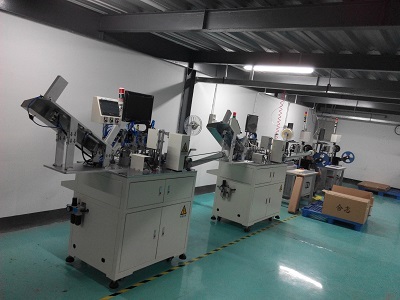 Within one week after machine arrival your factory. 2. How many days will you finish installing & commissioning ? We will finish installation,commissioning and training within 15-25days. 3. What should we charge for your engineer? You should charge for the cost of our engineer's visa, air tickets, hotel, food, and also their salary 50USD one day per person. 4. How long is your machine's warranty period? All our machine have one year guarantee, starting from finished installation. 5. How could we do after one year warranty period? We also can do service for you, but you need pay salary for my technician 80USD/day. 6. How could we do if the parts broken within warranty? 7. Does your engineer understand English? Our engineers understand a little English. 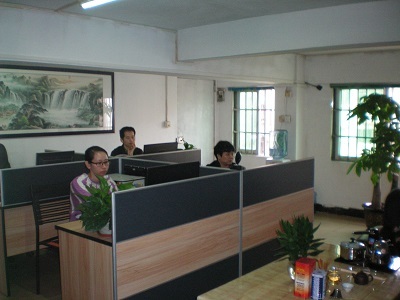 All of our engineer have more than five years machine installation experience. In addition, they can use body language to communicate with customer. For these are non-standard machines.If you are interested in our machines,pls kindly provide your product samples and requirements to us for evaluation,We can provide you with solutions,thank you. 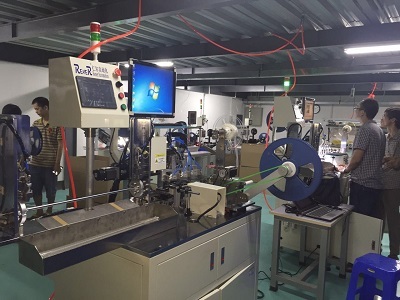 Dongguan Rener Automation Technology Co. Ltd. Is a high-tech enterprise engaged in industrial non standard mechanical equipment R & D,production, sales and service of automation. Our products are widely used in automatic production of standard fasteners, hardware accessories, auto parts, electronic parts, electrical appliances, plastic hardware, locks, medical equipment accessories, cosmetics, sanitary products and other industries. Undertake mobile phone connector, automotive, medical, hardware, wire, all kinds of consumer electronic products, sanitary products and other non-standard automation equipment R & D project development, to undertake a variety of plastic hardware products production line, assembly line, automatic machine manufacturing, design various automation solutions.Effective for the enterprises to solve the problems in high cost, low efficiency and serious quality, recruitment difficulties, labor trouble etc...For all enterprises to save resources, improve efficiency, achieve social harmony and win-win customer. 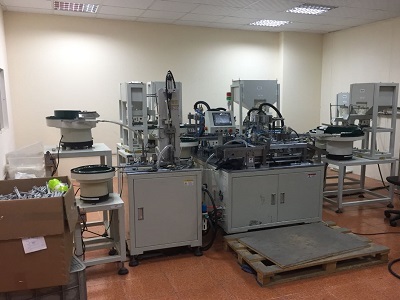 Our main products: plastic & Hardware assembling machine, sanitary assembly machine, automatic locking screw machine, spring separating feeder machine, packaging machine,we developed a number of sanitary assembly line has been successfully put into production in the Middle East. of life come to visit, guidance and business negotiation. 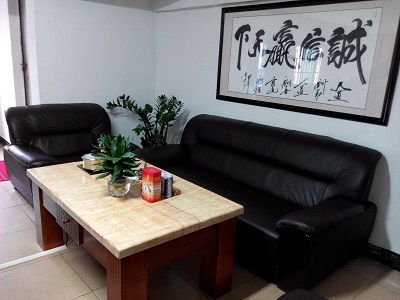 Factory Location: 202 Liyuan Road,Shilongkeng Management Area,Liaobu Town,Dongguan City, GuangDong Province,China.